If you are dealing with unending hair problems and are in need of professional hair care, you have landed in the right place. 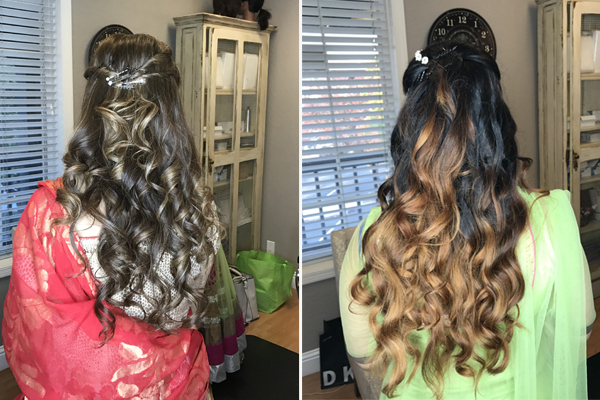 Shobhana Beauty Studio is renowned and trusted for offering quality hair care services at their San Ramon salon that is open to clients from Dublin, Pleasanton and Blackhawk among other nearby areas seeking to put an end to their hair traumas. Why To Visit Shobhana Beauty Studio? Most women have that one woman whose hair they admire because it looks so healthy and perfectly groomed as though she is heading to a hair commercial advertisement. It is every woman’s joy to have good and healthy hair but unfortunately, our lifestyles are too engaging and hectic that you cannot spare time to visit a good hair care services provider like Shobhana Beauty Studio. Though everyone cannot have beautiful hair, there are a few tips that can improve hair quality and health. Visit our salon in San Ramon for professional hair care and hair treatment tips as well as quality hair care services offered by a team of experts. We are a one stop and elite hair care service provider! Welcome to Shobhana Beauty Studio to get professional hair care tips, hair treatment and all the other services that you can expect from an elite hair salon of San Ramon, CA. We are one stop solution to all your hair woes! No matter what is your hair woe, we are here to help you out! Hair problems differ and can be anything depending on your lifestyle and physic. However, common hair care problems that can affect a person’s confidence and quality of life include; dandruffs, split hair, dry hair, hair fall and premature greying among others. Despite their nature and the amount of challenges hair woes pose in your life, they are always heart wrenching and demotivating. you may have tried may hair care service providers in your area, undergone a wide range of hair treatments, tried numerous hair care tips and taken up many advices all in vain. Nothing seemed to quench you desire to have beautiful and healthy hair.If you are experiencing any of these hair care problems and have tried many solutions to no avail, consider visiting our hair salon in San Ramon for professional hair care assistance. Apart from the hair care services you receive, you must adhere to the professional hair care tips given by our board certified cosmetologist. Shobhna is a certified makeup artist who has been working in the beauty industry since 2001 and utilizes the best hair treatments to address different hair problems. Therefore, if you are suffering from any hair problem, do not panic. We are here to help you regain that healthy, bouncy and beautiful hair. Do not hesitate to book an appointment!